Not often does one get the opportunity to work with world-class experts in their field. It was a pleasant surprise for me this past weekend to have met Dave Bracey. He contacted me for help with his 17″ MacBook Pro. 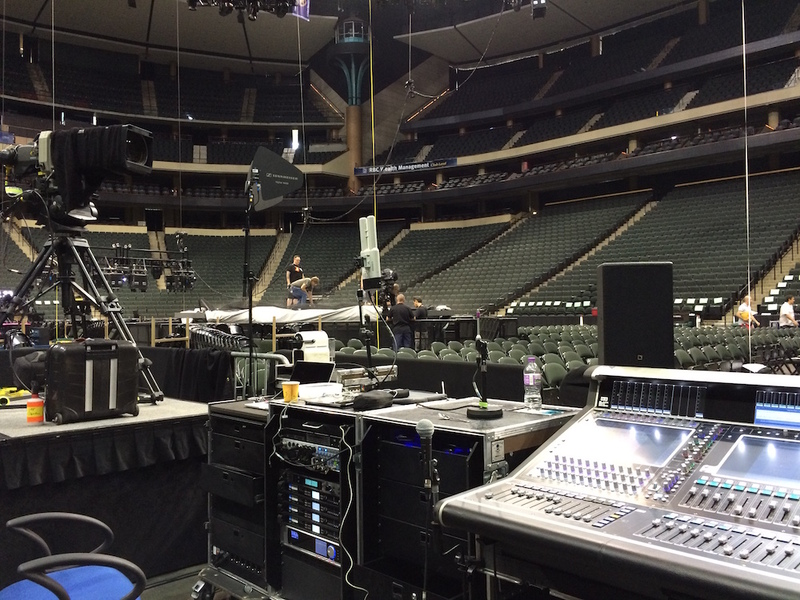 Dave is the Front of House engineer for Adele Live 2016 which started the first leg of its North American tour at the Xcel Energy Center in downtown Saint Paul, Minnesota. Shortly after getting to town, Dave found his 17″ MacBook Pro no longer powered on. In less than 24 hours I got him back up and running. It was right in time for his stage preparation for the two-night Adele show. Dave gave me a backstage tour anyone would love to experience. We started at his command center, in the middle of the audience between the main stage and stage B. The 17″ MacBook Pro is an essential part of Dave’s setup. 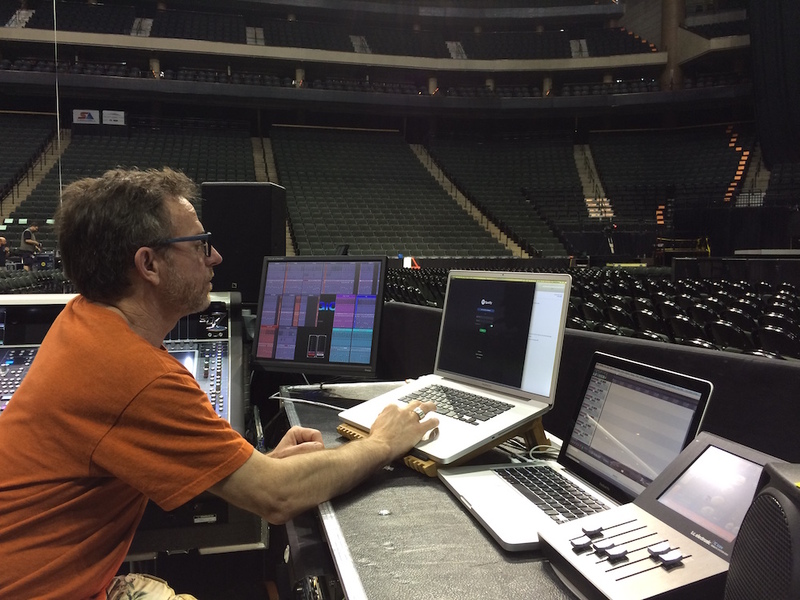 It has live mixing notes for the artists and bands as well as pre- and post-show music. We discussed the benefits of the matte and massive 17″ display of his MacBook Pro that’s unfortunately no longer part of Apple’s lineup. In a cavernous area under the main stage, the audio crew house their equipment. Christmas lights brightened one crew member’s work area. We then found ourselves in front of a low, dimly lit tunnel, one Dave explained Adele would take to enter the main stage. Right behind the main stage was the video crew and what seemed to be a sea of Macs. Large bundles of cables and wires snaked across the space. Dave explained the need for each and every element of the production to be just right for a successful live show. After seeing the massive scale of the production these guys put together for the Adele Live 2016 tour, I have a new appreciation and respect for both the professionals who do this work and the technology that serves as their tools.